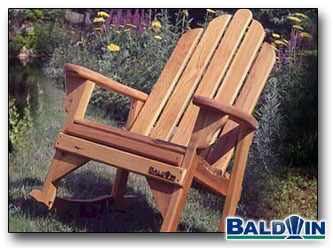 The Rocking Chair will rock in the grass. The curves are one and a half inches wide and don't have a problem rocking on the lawn. Of course rocking on a deck provides a smoother motion with less effort.